Fair weather helped make the 2015 ‘Make It Shine” campaign fun and successful. 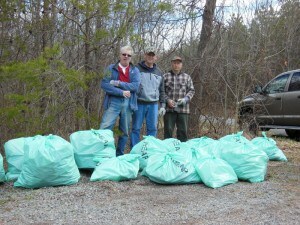 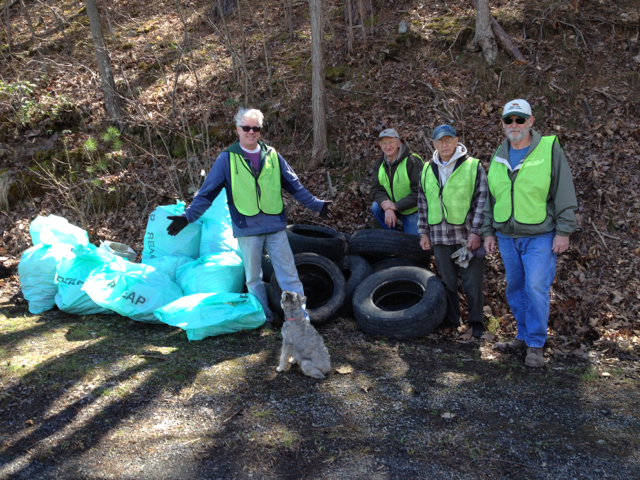 SCWA members joined forces to clean the junk from about a mile-long stretch along Luther Michael road and the Sleepy Creek Stream bank. 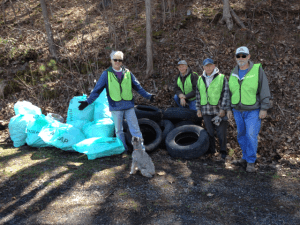 A dozen tires and a whole truckload of garbage and recyclables were collected, separated, and taken to the recycling center. 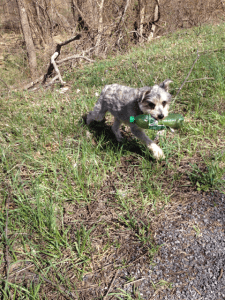 “Make It Shine” is a state-wide initiative to encourage groups to go out and clean up trash in West Virginia to make it a better place for all of us. 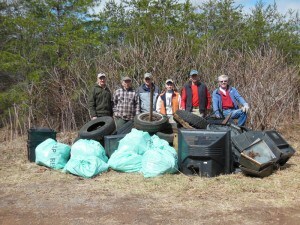 SCWA supplied snacks and refreshments for the volunteers. 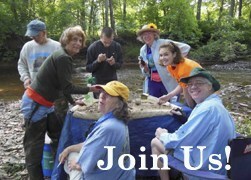 It’s a fun and rewarding activity, so come join us next time! 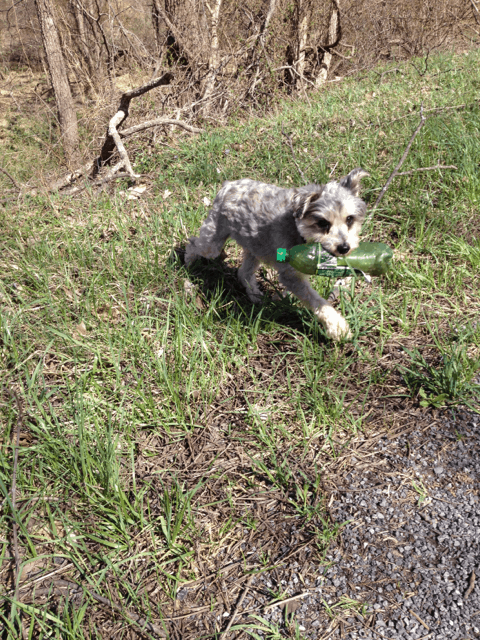 SCWA mascot Scruffy helps with the small bottles!